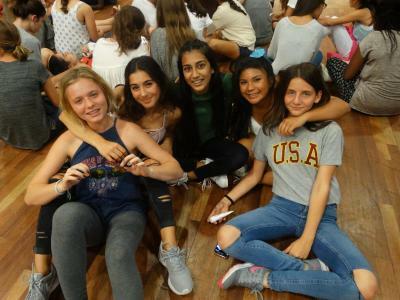 We are so lucky that every year campers attend our residential camps from all around the world! Today we caught up with someone close to home, fourteen-year-old Holly who is from Potters Bar, just outside of London. Holly loves to read, spend time with her sister and most importantly live life to the fullest - being adventurous and having fun! Holly’s dream is to be a paediatrician when she is older, helping those who are feeling unwell. During their stay at XUK Excel, our campers specialise each morning in one of our four activities. Holly spent her week in our Water & Forest Adventure group. 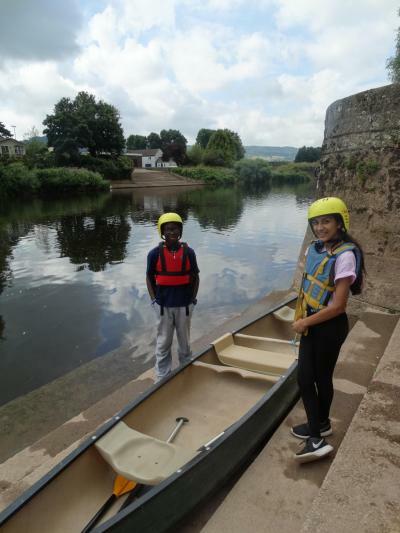 “My favourite activity at camp was when we went canoeing.” Our campers are very fortunate to canoe in a beautiful location, on the River Wye. 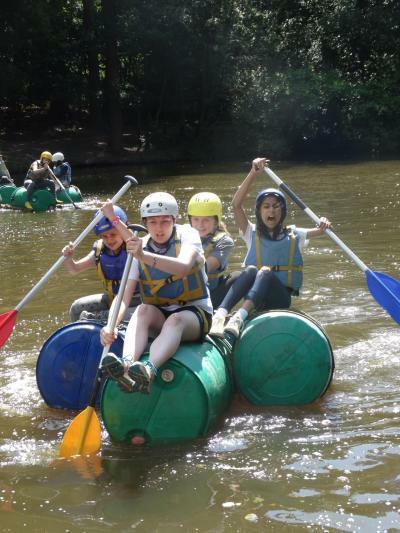 Holly said “it was the best experience… Not only did I learn to canoe, the view was incredible and luckily nobody fell in until the end where we played a game of ‘fruit salad’. Each canoe is side by side and you have to change to another one!” We think this sounds like great fun! Something very special about camp is the memories that are created each year. We asked Holly what her best memory was from the summer. “XUK has been the best part of 2016. Every day was amazing but my favourite memory was when we played a game that involved lots of water guns on the Pavilion. It turned into a big water fight… we got to spray the staff with water. It was so funny and a memory I will never forget!” We remember this day well, it was a scorcher! It might be only 216 days until our residential camps begin again, but it doesn’t stop us from missing camp! Holly’s parents were greeted by a very tearful girl when they came to collect her. “I miss XUK so much, I cried with all of my friends on the last day. In such a short amount of time, I built such strong friendships and I couldn’t come to terms with not seeing my friends again until next year. Going to XUK has given me friends for life that I will always cherish moments with.” It makes us beam from ear to ear when we reminisce about the friendships made at camp! At XUK, we like to stay active on Facebook, Twitter and Instagram, just like our campers. Holly uses social media to stay in contact with her friends from camp who live all around the world. “I have even sent and received a few letters from my friend who lives in Japan”. There is nothing quite like receiving a handwritten letter!